Any hours not included in the business schedule default to the configuration for after hours. 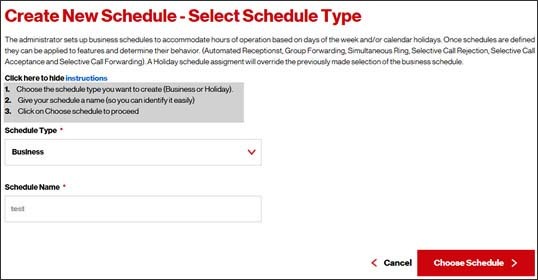 Holiday schedules can only be created in all day increments and take effect for the entire day's scheduled. From the Quick tasks section, click View/Update Schedule. From the Mange Schedules page, click Create Schedule. 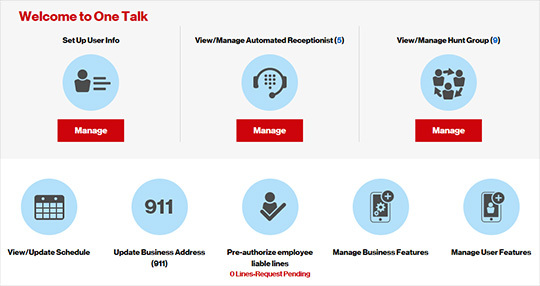 Schedules must be created for the hours you wish the call routing to follow (e.g., routes calls via Selective Call Forward from 6 pm -8 am).